The philosophy of the masters of self-perfection in the East and West and the transmission of their teachings through meditation and yoga are my goal in life and my vocation for over more than fifty years. Since 1981 I am now occupied and working with the classic Taoist meditation instruction „The Secret of the Golden Flower“, the most basic work that was ever written on meditation. For me, there are two main sources of ancient wisdom about the refinement of our life quality: Tao Yoga and Kriya Yoga. The many years of personal experience in my training and education with »Grandmaster Mantak Chia« and his exact instructions and techniques of Tao Yoga enabled me to understand and implement this Taoistic Meditation Handbook „The Secret of the Golden Flower“ in a much deeper dimension. Equally important to my understanding of the „Golden Flower“ is the knowledge of Kriya Yoga. In India, Kriya Yogi Patanjali, one of the immortal Siddhas, has written the well-known and most important book about meditation in the tradition of yoga, „The Yoga Sutras of Patanjali“, his author is considered as Einstein of Yoga. »Marshall Govindan Satchidananda« initiated me into the techniques of Kriya Yoga and has shown me the connections between the Indian Kriya Yogis and Taoists in China. 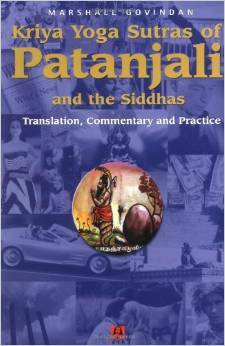 Herefore I can recommend his unique translation and commentatory work »Kriya Yoga Sutras of Patanjali and the Siddhas« (2000). My teachers and masters teach these techniques of immortality worldwide to pass on their traditions and their knowledge to all people. I have completed their teachings with the knowledge of today forms of therapy of psychoanalysis, dream research and ancient shamanic world knowledge, and combined into a contemporary and easy to understand Course of the „Golden Flower Meditation“. The first English version, of Richard Wilhelm’s German translation “Das Geheimnis der Goldenen Blüte“, was translated by Cary F. Baynes and has appeared in 1931. 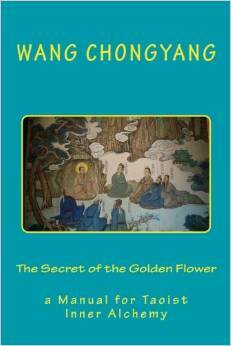 2011 his new English translation of „The Secret of the Golden Flower“ was published in German. This major work on meditation, attributed to Master Lu Yan (Lu Yen) been handed down for a long time in various forms. It is known under the German title „Das Geheimnis der Goldenen Blüte“. 1929 it was translated by Richard Wilhelm and C.G. Jung has written a detailed preface. This text comes from an esoteric circle in China and has long been passed only verbal than handwritten, the first printing is from the 18th Century. It was printed newly in 1920 in a thousand copies and distributed to a small circle of people. This summary of the several thousand volumes comprehensive „Taoistic Canon“, condenses in a few pages of text the definition of a correct Meditation Technique in all stages. Read the comment on the website of this book in the second section below and you will understand my enthusiasm. A second English retranslation is freely accessible on http://www.thesecretofthegoldenflower.com since 2012. The complete work is titled „Perfection of human existence and the nations in the third millennium“ describes the practice of the meditation techniques of the Golden Flower for the first time accurate and understandable to all. Website of Otto Namenlos / Jürgen Scheibe »www.ottonamenlos.de« with published online versions in German and English. You can find also a short English translation „Tao Meditation“ on my webpage »texts«. This text was written in 2003 and expanded only gradually and in completed form on the Internet. 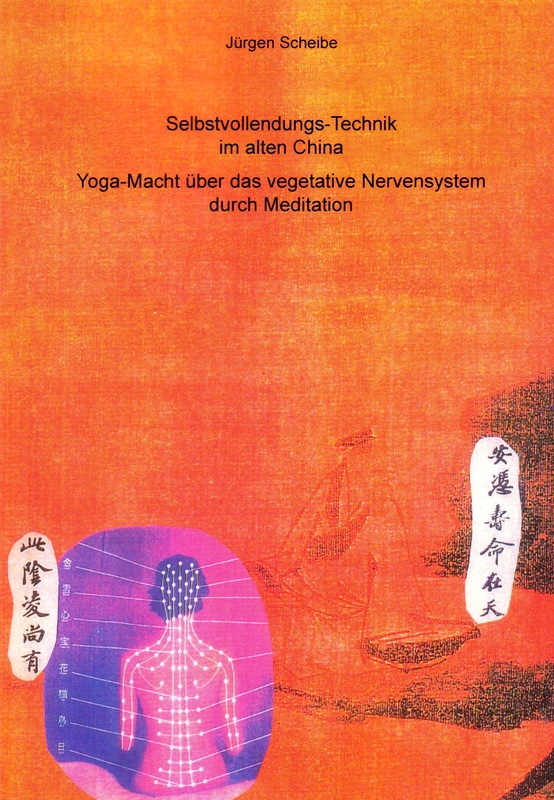 Since 2008, the entire text is available in two versions, the summary corresponds to an excerpt from the book entitled »Self-perfection technique in ancient China«, (only in German language: »Altchinas höchste Lebensvollendungs Technik«, this book is freely available on the Internet as a download, but can also be purchased as a Book on Demand, but only in German. In my point of view for the first time in the West, someone out of his own practice and personal experience understood its full extent and described the technology and the effect in all details accurately explained and passed it on. A third easy to understand English retranslation has 2013 of the Ancient Publications Publisher Andras Nagy: „The Secret of the Golden Flower: a Manual for Taoist Inner Alchemy“. This text I translated for my friends and my students in 2014 to German. 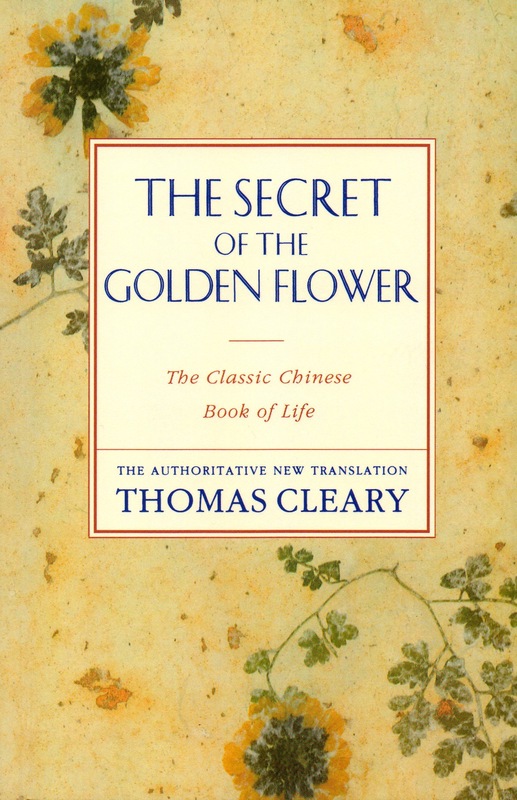 This new translation of the Golden Flower of the American publisher Andras Nagy was translated by a Chinese woman living in Hong Kong who has as well as Thomas Cleary many years of meditation practice. This more practical oriented translation can convey just by their non-academic language more insights and is good to use as a practical and simple instruction. 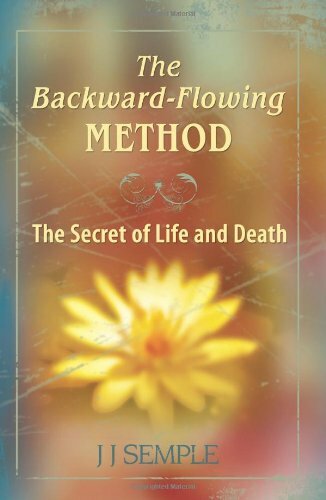 JJ Semple has his unusual experiences described by the Golden Flower in these two books: „Deciphering the Golden Flower at a Time“ and „The Backward-Flowing Method: The Secret of Life and Death“, both books are available commercially. This review documents the benefits of meditation of the Golden Flower and confirmed the dangers of performance-based meditation techniques. 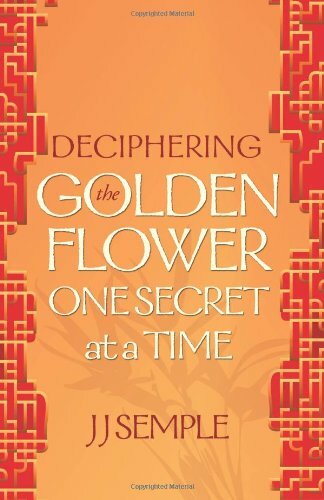 The author biographically describes his impressive experience of the Golden Flower. His life story gives hope and shows that this meditation technique can be integrated into any lifestyle and proves that everybody can learn it. For practical explanations and further information on the application of these techniques you can visit JJ Semple‘s website: http://www.goldenflowermeditation.com., concrete meditation instructions on the tab „The Method“ (The Golden Flower Meditation Method): »About Golden Flower Meditation«. **) Foreign language editions of Thomas Cleary’s translation I have found and purchased in Spanish and Italian, the French edition is out of print but available as PDF from me. As with all mystical texts, even the GOLD FLOWER is shrouded in legend. The Authorship is attributed to the taoistic master Lu Yan (Lu Yen) which is regarded as ancestor to the taoistic „School of the full reality“ (Quanzhen /Ch’uan-chen), which in the 11th Century was founded by his students. The northern branch of this school was heavily influenced by Ch’an Buddhism, the later is the Japanese Zen Buddhism originated. The followers of this branch placed great emphasis on a consistent meditative, yet non-sectarian way of life. U.S. – American sinologist, translator and author, Thomas Cleary is due to it like any other second, that basic texts of Buddhism and Taoism in Western languages are accessible. 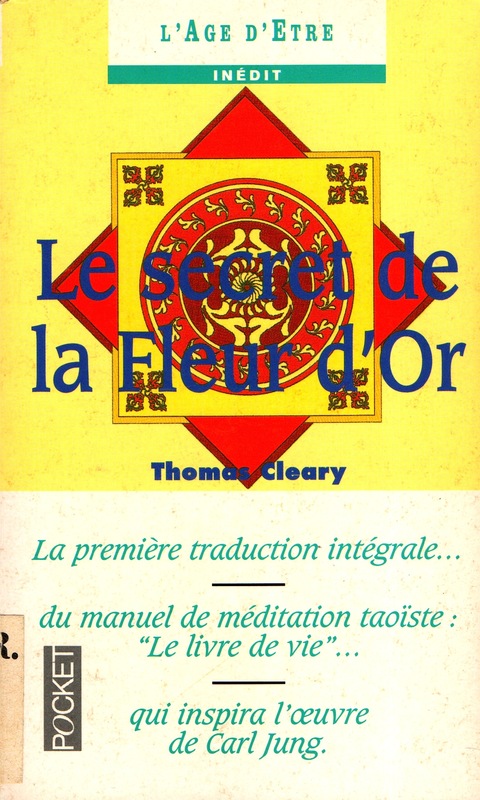 Some 60 years after the first Attempt at translation by Wilhelm Cleary based on the text recompiled THE SECRET OF THE GOLDEN FLOWER. Cleary’s inspiring remarks make it possible that even without prior knowledge of the practitioner with these Meditation-Instructions emotional balance and mental peace can be achieved. be of transformational effect. 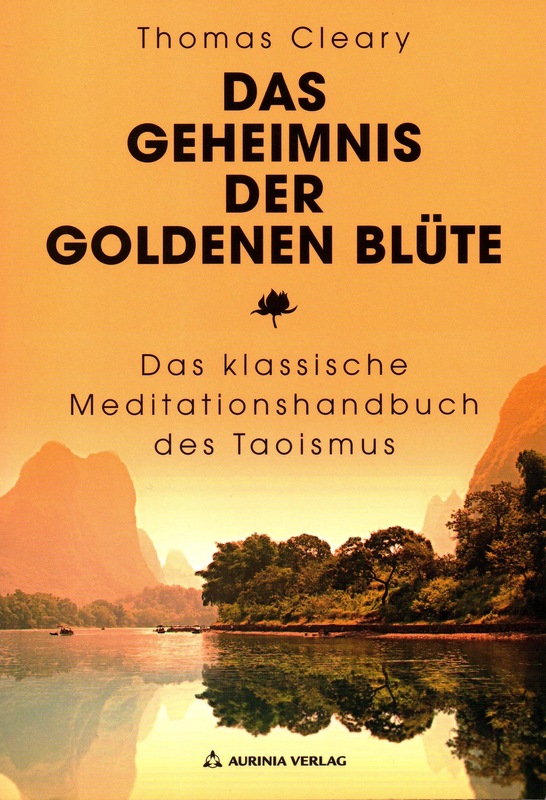 Cleary’s retranslation of this Classic of Taoistic Meditation reveals now to German readers authentical access to thousands of years old, tried and tested technique of psychoanalysis-hygiene. The GOLDEN FLOWER-practice can be applied in different ways. Who will concentrate on physical, mental and emotional balance, who tries to get a grip on his anxiety and will be attacking less on external events, obtains with the exercise techniques effective process at hand? Who accepts the natural law – double, karma and reincarnation as scientific thesis is valid and is for who „immortality of the soul“ is more than just a metaphor, can with the help of the GOLD FLOWER-technology not only maintain his mental balance but also his everyday consciousness and systematically raise his Consciousness to this very immortality. The GOLD FLOWERS – practice is interdenominational. Their ethical principles are shaped by altruism – the ideal of Taoism and Ch’an Buddhism – and thus comply with the principles of all world religions. Even Gustav Meyrink, Author and Mystics (1868 – 1932) recognized that THE SECRET OF THE GOLDEN FLOWER has the makings of a transformative impact. In this, he had merely the garbled version from the translation by Richard Wilhelm. With the authentic transmission of the original text translated from Chinese into a Western language – into English by Thomas Cleary – the transformative potential of the „Meditation Manual“ became fully accessible for Seekers in the West. But what is the meaning of this „transformative effect“? In an abstract spiritual sense is meant to solve the binding to the karmic wheel of rebirth. In an astral sense, the awakening of the Kundalini is meant. Once Kundalini is activated, a complete transformation of the current personality starts. If it happens in the course of a mental purification process, the probability is high that the person actually experiencing consciously the UNIO MYSTICA with its divine SELF. This is the pathway to immortality of the soul towards Christ, towards God. The practice of the GOLDEN FLOWER is not a bag of tricks in order to steal from them their karma or to achieve personal salvation. Whatever is gained, to the benefit of all sentient beings has to be offered. The practice of the GOLDEN FLOWER is therefore also well-lived Bodhisattva Ideal. These new releases for me means absolute cases of fortune, of which all my readers will benefit. I constantly work on the new knowledge and information and integrate them into my own meditation practice and the »Short Instruction« on this website. Thereby I enjoy what accurate description can cause. While the negative forces are currently fighting desperately for their survival, the positive opposite side supports us in an unusual mass in our commitment and confidence so that the good forces can take the lead in the near future. The »Study Program „Consciousness and Meditation“« and all the »Informations« on my websites, are my personal contribution, with both I try to do my part that this change might take place more harmonious and profitable for everyone. a personal encounter, an exchange of views, or an informative meeting.